Endogenous proteins are produced and removed in a balanced state, so their cellular levels are generally stable under stable environmental conditions. 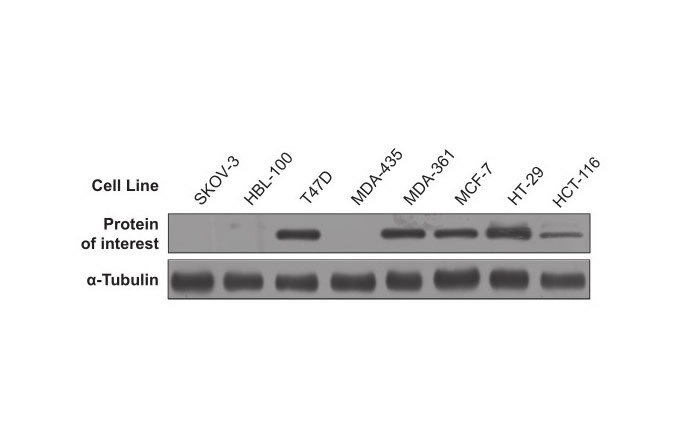 However, protein production is greatly halted and degradation is enhanced when cells are studied in vitro. To prevent the degradation of proteins under such conditions, one can utilize a cocktail of small molecule inhibitors to block the action of proteases. The product should be stored at -20°C, and is stable for at least 2 years. Experiment Protocol Thaw at room temperature, add at 1:100 (v/v) dilution to solution samples (such as cell lysates or tissue extracts), before assaying. Q#1: Why to use protease inhibitor cocktail? A#1: Protease inhibitor cocktail is low-toxic agent which comprehensively protect proteins from degradation by various proteases. As the development of life science, more and more researches focus on proteins of low concentration, such as proteins in signal pathway. 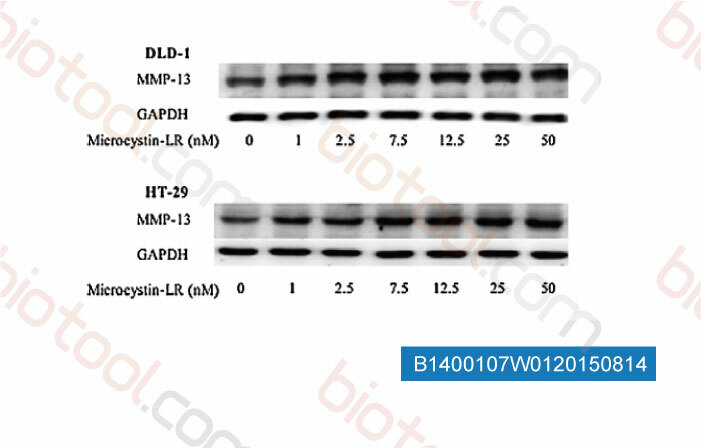 Precious as these low content protein, protease inhibitor cocktail offer more reliable protection than single inhibitor like PMSF. Q#2: Could protease inhibitor cocktail be diluted more than instructed? A#2: The inhibition effects relies on many factors, such as the protein degradation tendency, the concentrations and activities of proteases, inhibitor concentrations. Bimake protease inhibitor cocktail uses classic combination of inhibitors of sufficient concentration to ensure full protection against different proteases. To achieve best protection, the products should be diluted strictly according to instructed proportion. Q#3: PMSF is often used to protect proteins. 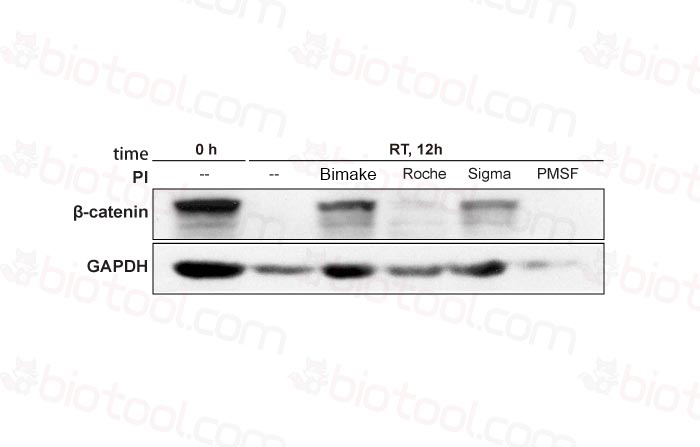 Does protease inhibitor cocktail possess advantage over PMSF? A#3: PMSF is a traditional serine protease inhibitor, widely used inprotein purification by addition to cell lysis buffer. As PMSF have many shortages, it is gradually replaced by protease inhibitor cocktail which has better protective performance and is safer to use. To minimize the toxicity, AEBSF is chose to replace PMSF in protease inhibitor cocktail. AEBSF and PMSF have equal inhibitory efficiency but AEBSF is 14 times safer than PMSF. As LD50 of AEBSF and PMSF are 2834mg/kg and 200mg/kg, respectively. Another flaw of PMSF is that it is easy to degrade in water solution, with half-time period of 30 minutes. Protease inhibitor cocktail provides protection not only more comprehensive but also more durable. Q#4: Tablet or solution, which kind of protease inhibitor cocktail should I choose? A#4: Some details are important when choosing which cocktail to use. Both formulas contain additives. The tablet has several pharmaceutical components which are usually proprietary and non-publicized, while the solution cocktail has DMSO as a solvent. Generally, these additives do not influence product performance. In industrial production, solutions are less processed than tablets, which results in a better quality and lower prices for solutions. On the other hand, tablets possess advantages over solutions in both storage and shipment, as tablets can be stored at 4 degrees instead of -20 degrees. 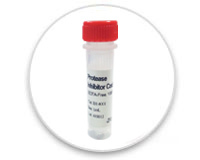 We recommend solution products, as they have a lower price, more accurate inhibitor doses, and readiness to aliquot. Q#5: Could DMSO cause problems in my experiments? A#5:The possibility that DMSO will influence experimental results is very low. DMSO is widely used as a solvent for biologically active compounds in life science experiments, including high requirement applications such as protein crystallization and CoIP. DMSO is stable at room temperature, and is a perfect cryoprotectant for cell storage in low temperatures. Q#6: Even after using the protease inhibitor cocktail, experimental results were poor. How can this problem be improved? 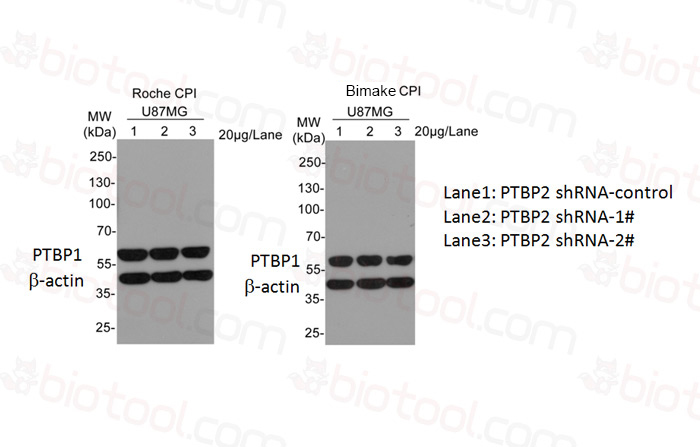 A#6: Bimake's protease inhibitor cocktail can provide adequate protection for most proteins. 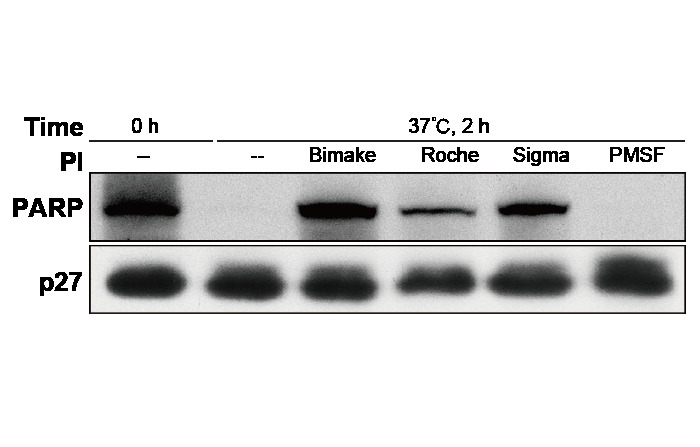 If protein degradation remains severe with cocktail addition, carefully check the experimental protocol and procedures for optimal use of the protease inhibitor cocktail. For example, the lysis buffer system must be carefully prepared, and with the addition of protease inhibitor cocktail, the cell samples should be treated immediately after being collected or thawed.